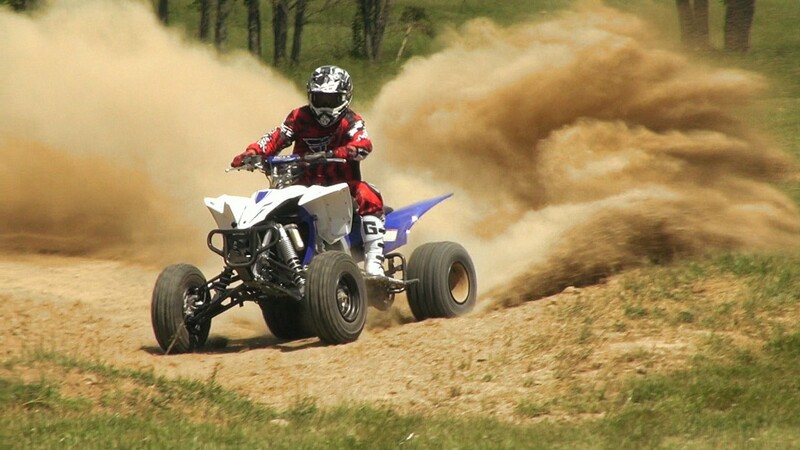 As the most refined sport ATV on the market, Yamaha went to great lengths to make the YFZ450R a superb track performer and capable trail machine. Faced with meeting strict sound and emissions’ standards in order to be legal in public riding areas, the engine’s horsepower potential is robbed by a restrictive exhaust and a lean stock fuel map. To maximize the potential of our stock YFZ450R, we turned to the exhaust specialists at HMF. 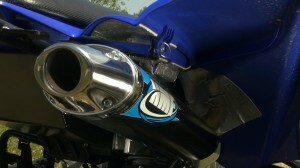 Their competition series exhaust is available as a slip-on silencer only, or with their stainless steel head pipe. Replacing the restrictive and heavier stock silencer yields the largest gains in power. Adding a head pipe often yields a bit more horsepower on stock engines, becoming even more important as you add a higher compression piston, cams, or other internal motor mods. As power hungry individuals, we opted to try the full Competition Series exhaust. To maximize the potential of our stock YFZ450R, we turned to the exhaust specialists at HMF. 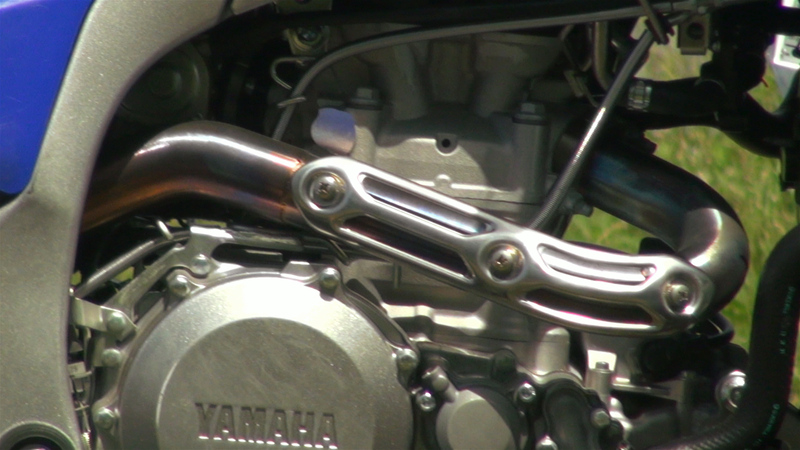 Their competition series exhaust is available as a slip-on silencer only, or with their stainless steel head pipe. HMF’s exhausts are made in the US. Their larger diameter head pipes are constructed of corrosion resistant, stainless steel. HMF’s exhausts are made in the US. 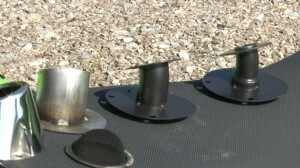 Their larger diameter head pipes are constructed of corrosion resistant, stainless steel. The Competition Series Silencer is constructed of stainless steel, leading back to its 6063-T6 aluminum silencer body and stainless steel end cap. The silencer body is available exclusively in a heat-resistant black powder coat finish, in either a round or oval-shaped design. The Competition Series Silencer is constructed of stainless steel, leading back to its 6063-T6 aluminum silencer body and stainless steel end cap. We love that this exhaust system makes reducing noise in sensitive riding areas so easy. Chances are your neighbors will appreciate it as well. The silencer’s core features a triangular-shaped portion that HMF claims helps focus horsepower and torque gains in the bottom end and midrange, without sacrificing top end. The easily removable end cap houses the removable spark arrestor and one of three different inserts, which HMF says, “…provides three different levels of sound and three different levels of power.” While we don’t ever see ourselves running one of the quieter inserts in search of decreasing power, we love that this exhaust system makes reducing noise in sensitive riding areas so easy. Chances are your neighbors will appreciate it as well. HMF tells us that on the YFZ450R, the quietest stage 1 insert produces between 92 and 96db, the stage 2 insert between 96 and 100db, and the stage 3 insert between 100 and 105db. Installation of the Competition Series exhaust was quick and drama free with OEM quality fitment. We struggled a little bit with low-end bog in stock trim, which Yamaha tells us can be cured with an adjustment from your dealer. We then installed a Power Commander and a different brand aftermarket exhaust, swapping between four different maps, but unable to fully cure the low-end hesitation without using our laptop to write a custom map. HMF’s Fuel Optimizer, manufactured by Dobeck, comes with a map pre-installed to work with HMF’s exhausts and the airbox lid removed. It features a decent range of on-board tune-ability, allowing you to dial in the amount of fuel injected on a scale of 1 to 8, at different RPM ranges. We had our plastic off and the Optimizer ready to go in 20 minutes. Initial testing yielded the same low-end hesitation, and occasional pop we encountered under deceleration previously. We increased the zero to one-quarter throttle setting all the way to 8 with little effect. We then discovered that the Optimizer’s fourth setting controls the amount of fuel injected when you crack the throttle from idle, which HMF explained as working similar to an accelerator pump on a carburetor. We cranked the Optimizer’s fourth setting up to 8 and the low-end hesitation went away. We then backed the 0 to ¼ setting down to 7, 6 on the ¼ to ¾ throttle position, and 5 on the ¾ to full throttle position for a clean running, hesitation-free setup. 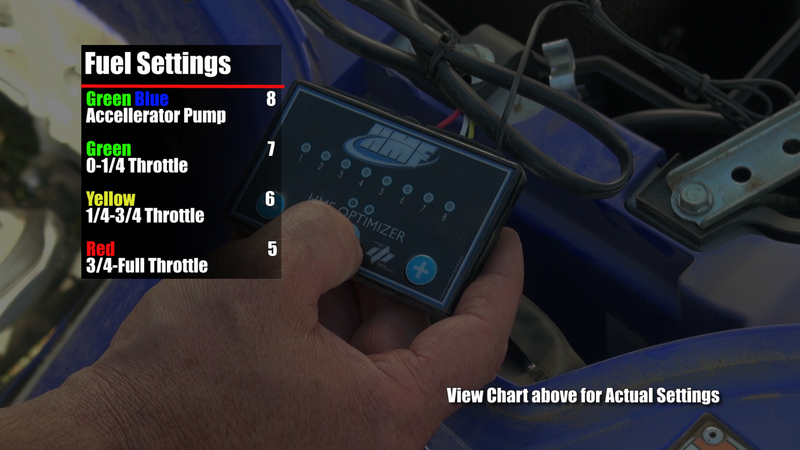 Adding a fuel programmer like HMF’s Fuel Optimizer is essential when running the Competition Series exhaust. Above are our Fuel Optimizer settings for crisp, hesitation-free performance. If we added more internal motor mods to our YFZR and needed more fuel than the Optimizer’s external adjustments could provide, we could send the Optimizer to Dobeck and have the controller’s baseline map richened up. 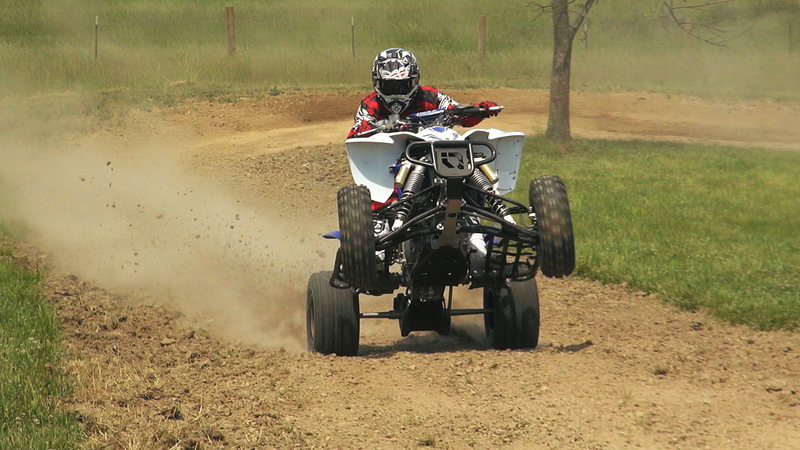 We took our HMF outfitted YFZ450R to test rider, Dave Trimble’s, private practice track to put the HMF power upgrades to the test. 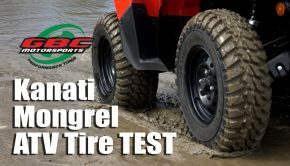 We performed our testing with the Competition Series Exhaust’s least restrictive stage 3 insert installed as we were looking to improve our YFZ450R for closed course competition. If we were going to ride with the quietest stage 1 insert, HMF tells us that we may need to back down a bit on the Optimizer’s yellow, or ¼ to ¾ throttle setting. Low-end torque, horsepower, and throttle response really came alive with the HMF exhaust and Optimizer. 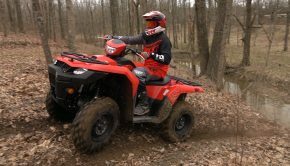 The YFZ450R has a broad, smooth power band in stock form, which is amplified by the combination of HMF’s Competition Series Exhaust and Fuel Optimizer. Low-end torque, horsepower, and throttle response really came alive. The engine’s smooth low-end surge is happy to pull you through and out of turns, without the jitters some 450s emit at lower RPMs. The improved low-end power makes the machine more viable for beginner level racers and is a big help if you miss a downshift heading into a corner. 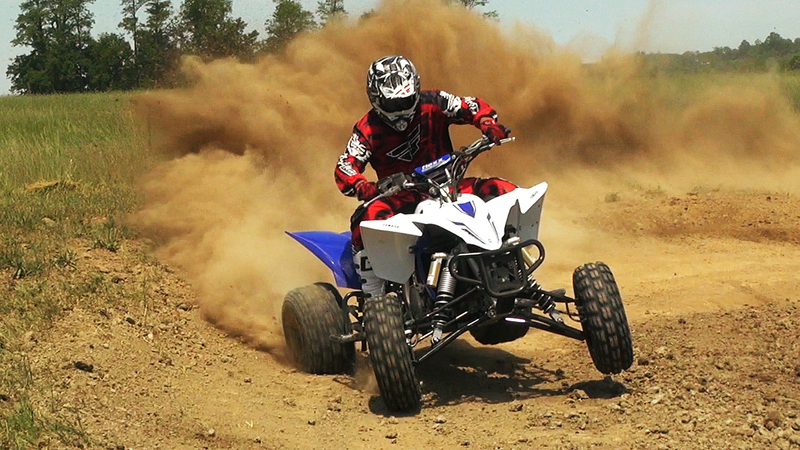 No matter your skill level, the HMF YFZ450R is easier and more fun to ride, and, of course, faster accelerating. Midrange and top-end performance are also notably improved. The pumped up midrange is delivered in a smooth surge transitioning off the bottom, resulting in more power directly translating into increased forward momentum. Midrange and top-end performance are also notably improved. The pumped up midrange is delivered in a smooth surge transitioning off the bottom, resulting in more power directly translating into increased forward momentum. A little slip of the clutch lets you rip out of corners. Dave really enjoyed how easily he could carry the front wheels in the air, accelerating through his track’s washboard-style acceleration bumps, thanks to the broader torque curve and improved horsepower the HMF Exhaust and Optimizer provided. On top, the engine continues pulling until the rev limiter kicks in, which helps on long straights where you need to wring it out for a few more feet instead of backing off the gas and shifting. Overall, we found the power to be focused in the midrange, providing a very broad and usable spread of power to work with. It’s also worth noting that the lighter Competition Series exhaust takes a few pounds of high-slung weight off the machine. 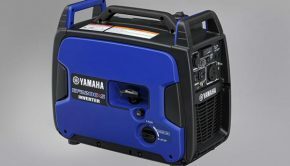 Overall, we found the power to be focused in the midrange, providing a very broad and usable spread of power to work with. It’s also worth noting that the lighter Competition Series exhaust takes a few pounds of high-slung weight off the machine. After several test sessions, the exhaust seems to be retaining its deep throaty sound, and there is no sign of discoloration from heat in the silencer’s black powder coat. 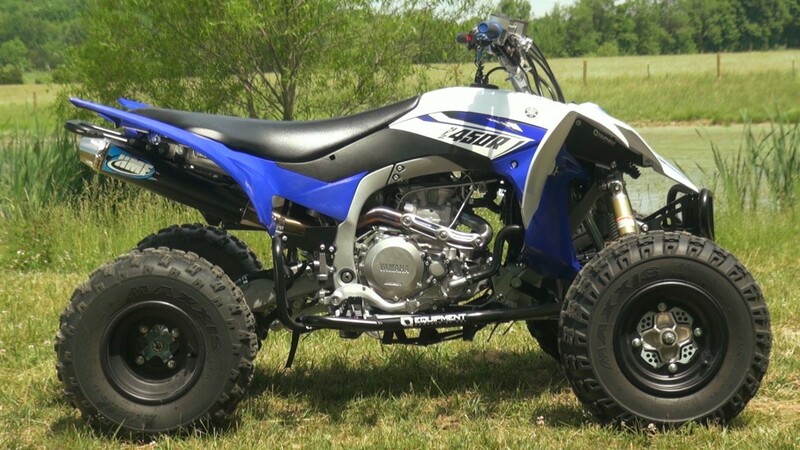 We believe the performance of HMF’s Competition Series Exhaust and user-friendly, on-board adjustability of their Fuel Optimizer, really let us tap into the full potential Yamaha built into the YFZ450R’s engine. A good aftermarket exhaust system and revised fuel map are essential for getting all the available power out of a modern, fuel-injected, sport ATV engine. We believe the performance of HMF’s Competition Series Exhaust and user-friendly, on-board adjustability of their Fuel Optimizer, really let us tap into the full potential Yamaha built into the YFZ450R’s engine. 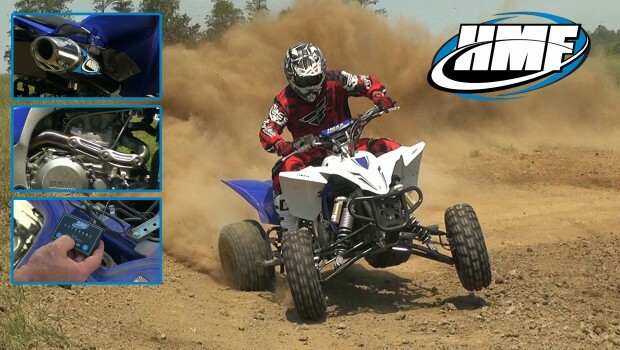 Its improved low-end performance and broad power band, with gains in performance throughout, substantially improve the race-ability of the YFZ450R for beginners and advanced racers alike. The quiet core option and substantially enhanced low-end performance make this setup a great option for trail riders looking to improve performance with minimal effect on sound output. Of course, if you are like us and can benefit from more power one weekend and less sound the next, HMF seemingly designed the Competition Series Exhaust for you, and on the YfZ450R, it exceeded our expectations. Summary: A good aftermarket exhaust system and revised fuel map are essential for getting all the available power out of a modern, fuel-injected, sport ATV engine. We believe the performance of HMF’s Competition Series Exhaust and user-friendly, on-board adjustability of their Fuel Optimizer, really let us tap into the full potential Yamaha built into the YFZ450R’s engine. Its improved low-end performance and broad power band, with gains in performance throughout, substantially improve the race-ability of the YFZ450R for beginners and advanced racers alike.